Rate this Article A breed defines a horse's distinct set of characteristics over a number of generations (purebred). In this last part of the 5-part series, we'll tackle the American Quarter Horse, their unique strengths and how they are usually implemented over the lot of horse games out there! The horse game titles that we have been enjoying playing nowadays ultimately give us the ability to breed our very own masterpiece of a horse. With this final leg of the series delving onto the basics of horse breeds, picking up a thing or two is relatively helpful in owning the ultimate champion of a horse that you’d wish it’ll be. Having learned a few things with regards to the basics among the five common most breeds and getting to know more about them before even getting them over the competitions, should at least render a better overall target performance to fetch you those wins and rankings therein. As you properly dedicate these efforts onto honing the greatest horse for a competition (whatever the discipline is), knowledge would certainly reveal its great importance. As competitions range in a variety of ways, so are the classes of horse that are usually trained for specific competitions. Their classes range from those for races, endurance, jumping, and dressage. The American Quarter Horse as the last breed to be tackled with, is very well known for example for its all-around use. Winning mostly quarter mile race, fetch it its name – the quarter horse. The breed is among of the oldest and most popular breeds in America. As mentioned earlier, the breed got its name by winning races that were a quarter mile long. To date, the American Quarter Horse has defined itself as a great all-around breed traveling down the trail, herding cattle, but still famous among race and show competitions. They come in a variety of solid colors with or without white markings on their legs and head. On average, an American Quarter Horse stands between 14.3 and 16 hands high (59” to 64”at the shoulder) and weighs from 800 to 1,200 pounds with a very muscular build. Their even temperament makes them great for new equestrians/riders learning about horses as well as known for their breeding ability producing promising results. Breeds usually shown in different competitions are larger (more muscular) with wide jowls. Those for reining and cutting are smaller with more powerful hindquarters very agile and quick on their feet while the show type resembles the running quarter horse though some may be taller and slimmer. Fully taking note too that all of its varieties have both speed and power. 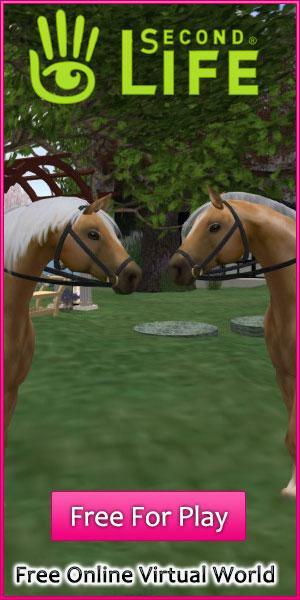 So next time you get to play with horse games, you’ve gained a bit more knowledge about these specific breeds. So upon enlisting a horse in a quarter-mile race competition for example, it is most certain that the American Quarter Horse breed will deliver and is well worth the shot - training it of course through the span of its career for these specific legs of discipline. That sums up the 5 common breeds series of articles we have compiled for all horse and horse game enthusiasts. What breeding in horse games endows us is truly splendid and unique. And from now onwards, you’ve gained adept knowledge about these creatures and should be able to make informed choices whenever you’re given the chance. Again, happy horse breeding and goodluck!